Young employees can breathe new life into your company, but there are often some challenges that go along with these new hires. Age gaps between a new hire and their coworkers may cause communication issues, tension, and difficulty with engagement or motivation. So how can you make sure you’re keeping young employees engaged, energized, and working well with everyone in the office? Try implementing these tips. While every employee is different, there are definite generational trends that are worth understanding in order to effectively motivate and manage young employees. In the past few decades, the workplace has undergone a transformation, and it’s no longer the norm to stay at one job for decades, as Boomers expected from their careers. Young employees are more likely to switch jobs frequently—not necessarily because they aren’t hard workers, but because finding meaningful work is important to them. In fact, according to one poll, 76% of Millennials were more interested in finding a career they were passionate about than making a big paycheck. You can harness that enthusiasm and motivate younger workers by changing the projects you give them, allowing them ownership over tasks and giving them challenges that will help them find their passion. 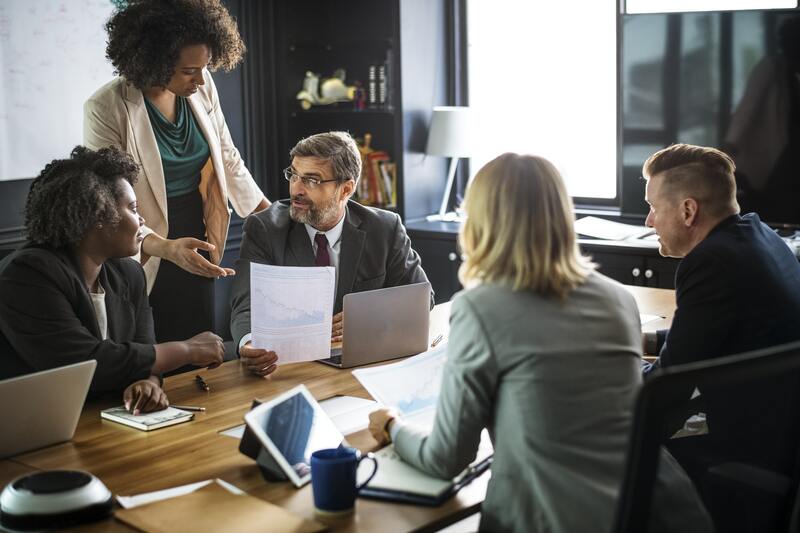 Without young employees learning leadership skills now, the business world is going to face a serious management talent shortage in coming years as Baby Boomers continue to retire. Fact is, many young employees fresh out of college have leadership potential, but have very little experience and may not have had the opportunity to build management skills in jobs they held in high school and college. Educating young workers in communication, leadership, and other essentials is a great idea for a few reasons. First, you will be helping to develop your organization’s leaders of tomorrow and building loyalty. Second, the potential advancement opportunities are likely to keep your young employees engaged and motivated. And finally, development makes your young workers more valuable employees over time. The world is changing, and you’ll find that you need to use a different approach when managing younger workers. They expect a more relaxed and laid-back environment than their parents. With this in mind, you may need to make some compromises. Constantly telling them to get off their phones or expecting them to dress up when it’s not strictly necessary is a sure way to alienate and disengage younger workers and get them looking at the startup next door. If you really want to motivate young workers, use these attributes to your advantage. Have them take the lead on mobile initiatives. Use their creativity and listen to their ideas. You may have to let some things go that aren’t worth the fight. After all, is a nose ring really impacting the company’s productivity? Definitions of “professional” are changing and young workers want the freedom to express themselves. Keeping young employees engaged starts even before their first day on the job. It’s important to realize that a young employee likely won’t have all the skills your dream candidate would, but those can be developed. Instead, look for the right attributes and personality traits, like passion, resourcefulness, and perseverance. Choosing candidates with passion will help ensure that young employees don’t get bored and burned out, and they’ll be more motivated to develop the essential skills they need to succeed in the position. Finding a “culture fit” is sometimes more important than finding someone with years of experience, especially when you’re trying to bring young, innovative workers on board. One of the most important things to keep in mind when you’re managing young employees is that they’re usually interested in more than just collecting a paycheck and going home. They want to feel like they’re part of something bigger than themselves, and they’re in the career-building phase of their lives. Give them opportunities and challenges. Yes, money is important to all employees. But when it comes to young workers, education, opportunities, and recognition for their work is often more valuable. They want feedback, autonomy, but plenty of support. Managing and motivating young employees is often like being a teacher—encouragement and coaching will go a long way. Play your cards right, and the entire organization will reap the benefits.